I love a good kale smoothie! I’ve grown organic kale in my garden since last fall. I really enjoy clipping it fresh everyday for my drinks and recipes. It’s so incredibly good for you!! I don’t really follow recipes for my kale shakes. I switch up different fruits and vegetables and even change my protein powders from time to time. I add oats or oat bran to pump up the fiber and fill me up until dinner. I throw it all into my vitamix for a quick and healthy lunch. Here is my base recipe, but feel free to get creative and add in your favorite ingredients. 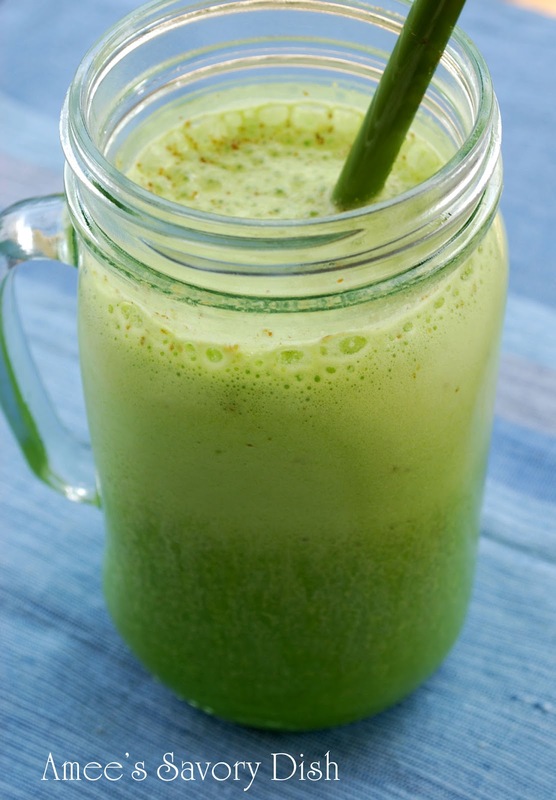 Add oats or oat bran to pump up the fiber in this healthy green smoothie. Here is my base recipe, but feel free to get creative and add in your favorite ingredients. Put all ingredients into a Vitamix or high speed blender and blend on high speed until smooth. For a thicker smoothie, add more ice cubes. Almond Joy “Ice cream” – Dairy Free and Sugar Free!